In recent years, many famous international hotel brands have been drawn to Hainan and especially Sanya, which has seen the fast-expanding numbers of luxury hotels and resorts. 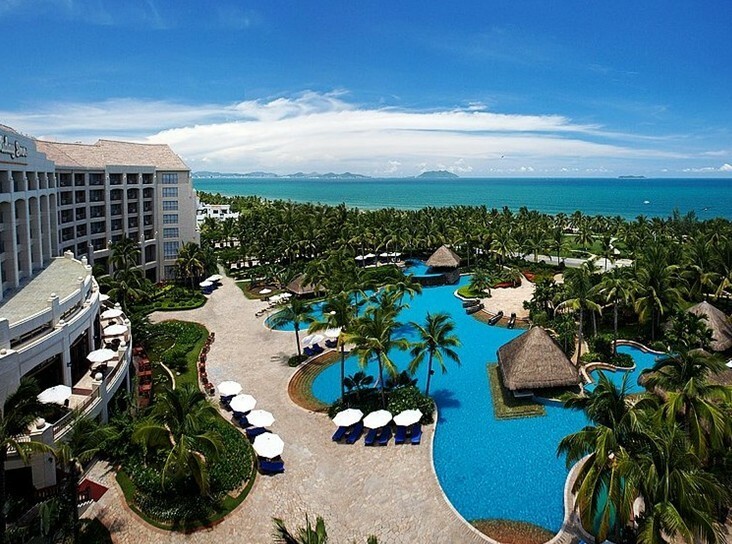 Hainan province is known as the natural oxygen bar with the annual average temperature between 22-26℃. The advantageous natural conditions promote tourism and also provide huge potential for the development of the hotel industry. Besides, the construction of Hainan international tourism island creates opportunities as well. According to the plan, more than 260 luxury hotels and a significant number of golf clubs, yacht clubs and high-end clubs will be completed by 2015. As of now, over 13 international leading hotel brands such as Hilton, Marriott, Starwood, Intercontinental and Accor groups has expanded their presence in Hainan, with half of these high-end hotels dotted along the coastline of Sanya including Yalong Bay, Sanya Bay and Haitang Bay. The most typical kind of hotel in Hainan is the resort hotel, featuring hot springs spa, golf and beach sports, playing a leading role in the national hotel industry. Meanwhile, hotels with native Hainan style and characteristics are on the rise to provide more cultured and personalized services, such as Yalong Bay Earthly Paradise Bird’s Nest Resort, whose decor and architecture originated from Hainan tropical landscapes, allowing guests to enjoy more privacy.